To my Beloved brothers and sisters of our Risen saviour, The Lord Jesus Christ. Greetings! Many are aware that I have been proclaiming the gospel and evangelizing in regions of the world since 2007. Since that time I have been praying for the sick and also taking financial help to the less well off pastors and Christians in their needs. God has miraculously supplied my needs and provided for me to fly to Philippines in six years. Two of those visits my wife also travelled with me. I do thank God for the sacrificial giving to God ‘s work that has enabled me to travel and minister. However it has always been my dream to support my travels, preaching and giving as much as possible by my own labors – as did the apostle Paul. To this end have been trying to build up a business on the internet. At times I have been discouraged but I’m still praying and hoping that I can succeed on this “ business venture” to support my ministry and help others. 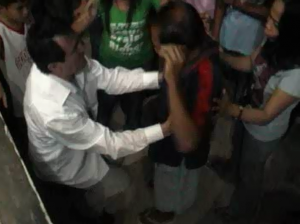 In the regions I have traveled pastors often need food and financial help. The congregations they care for are not rich enough to support them and the work of God adequately. 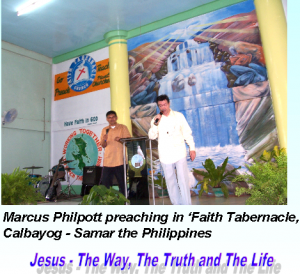 For example, previously in 2014, I was preaching the gospel on the Philippine radio airwaves from Butuan City with Pastor Lubel Quitoriano. I was hoping to continue having my sermons broadcast from this station however – The radio station had to be closed down for a while due to financial pressures. Thank to my Internet work I was able to help him continue transmitting this month. Pastor Lubel is praying for finances to continue transmitting into regions where the pure gospel is often not heard! My first area of business to help my ministry is the making and hosting websites for customers. I offer high quality websites made to customers specification. A WEBSITE (TYPICALLY) FIVE PAGES INCLUDING AUDIO/VIDEO PICTURE GALLERY – WILL TYPICALLY COST £7.99/MONTH. THIS CAN INCLUDE FREE HOSTING PLUS A FREE DOMAIN NAME. After building the website to the customer’s specified requirements I will be available on and ongoing basis to offer advice to the customer on the site’s maintenance /development. Anyone interested contact me Via Contacts Page : or on my mob 07429668940 to talk it over. Affiliate Marketing – I currently have a Christian bookshop online where a very large selection of Christian books, bibles, DVD music and films, mp3 downloads and other items can be bought. If you go to my FAMILY CHRISTIAN BOOK STORE PAGE you can browse through the store. If you finally decide to buy through my website YOU WILL PAY NO EXTRA but by purchasing on this website you will be helping my ministry. (NOTE prices are in US ($) dollars. – to convert to Pounds (£) simply multiply by approx 0.62 exchange rate). All categories of Items On Amazon.co.uk . (My Affiliate Amazon Link is on the right side of every webpage).